Kaskazi Skua AR / ARX - Venture Sport, Inc. 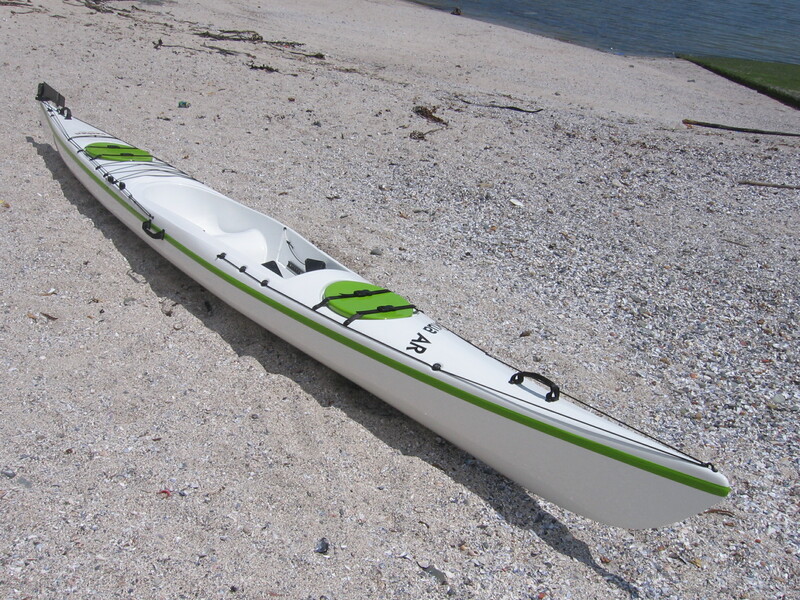 The Skua AR (Adventure Racing) is a sit on top version of the Skua touring kayak. It was initially designed for adventure racing and other multi-discipline events where competitors need to change quickly from one discipline to another. The benefit of the sit on top configuration is the ability to paddle safely without a spray deck. Another advantage of the AR is that when righted after a capsize, the cockpit is dry. The performance of the AR is much the same as the classic Skua. Disadvantages of the AR configuration are that you are exposed to the elements, and you are unable brace the kayak with your knees under the deck in rough conditions. Obviously it would be impossible to roll the kayak since you would drop out of the cockpit when capsized. ARX decks are available for the Skua to accommodate a spraydeck and provide protection from the elements. The ARX deck can be detachable or permanently bonded. The coaming is larger that the standard kayak and therefore requires a special spraydeck and also does not allow you to brace the kayak – it is still a sit on top! The Skua AR is fitted with self-bailers which can be plugged to keep water out when paddling with a deck. Please see our Kaskazi Pricing Sheet for costs.